What visual and Biblical archetypes does art history (aka art by European or American men in the last 2,000 years) provide for women? Sadly, the most popular archetypes are the passive “good” girl or the deadly vamp. I now realize that Salome paintings interest me as the darker side of what I studied in all those Annunciations. No matter how many times or how quickly I switch between the two, I will never see an empowering woman. 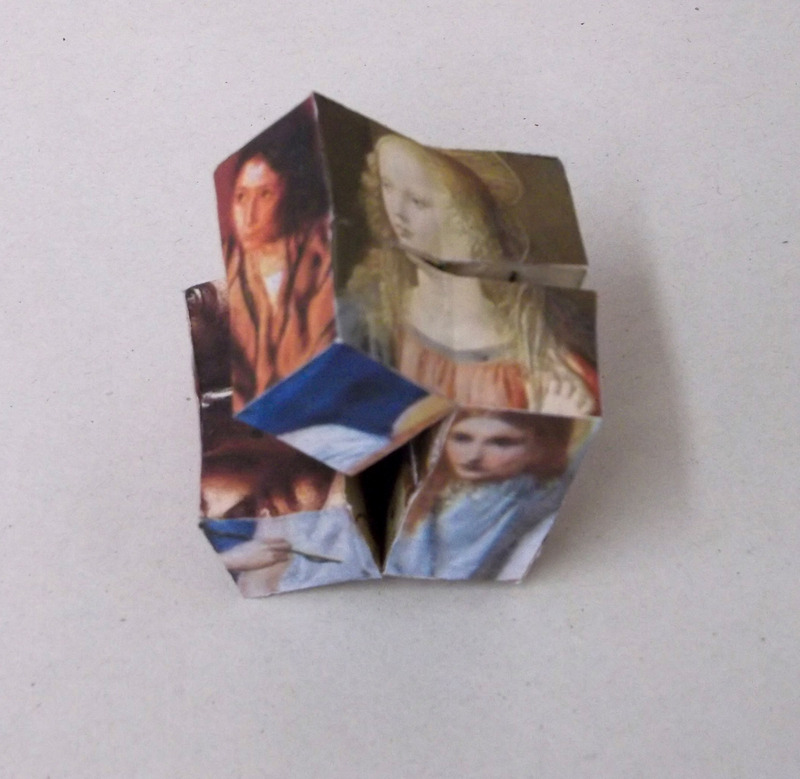 In one iteration, this cube displays Annunciation paintings by: Robert Campin (Merode Altarpiece), Jan and Hubert Van Eyck (Ghent Altarpiece), Leonardo da Vinci, Henry Ossawa Tanner, Carlo Braccesco, and Dante Gabriel Rossetti. 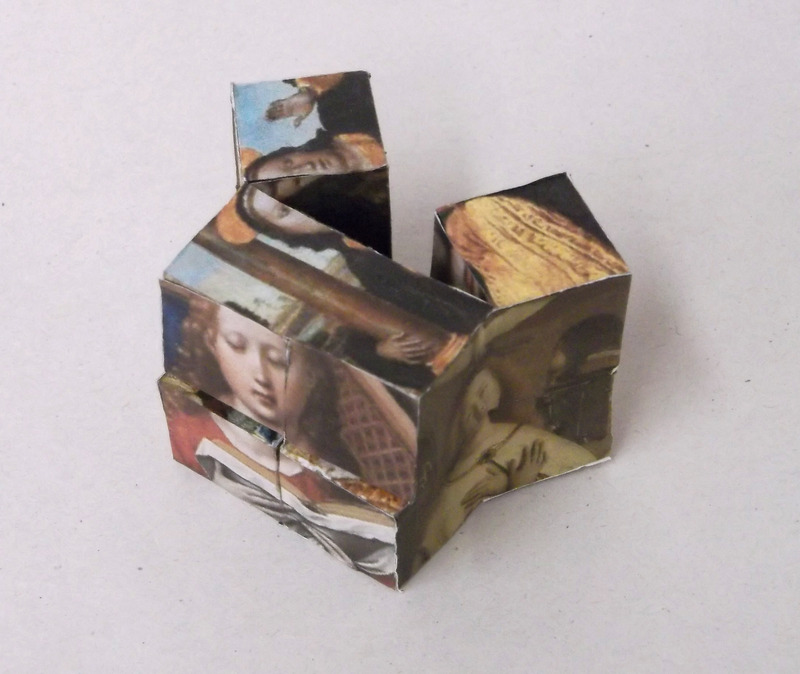 The other iteration consists of Salome paintings by Caravaggio, Bernardino Luini, Lucas Cranach the Elder, Andrea Solario, Titian, and Lovis Corinth. This theme of the Madonna-whore complex in a subset of art history has bothered me for a long time. Presenting it through an infinitely repeating dichotomy does not allow me the pleasure of painting, but it more sincerely expressed the concept than my more painterly attempts.